It never made sense to me why appetizers are some of the most involved, fussy parts of a meal. Often they have multiple components (a dough/crust, filling, topping, sauce, garnish, etc.) that must be prepared well in advance and then be served hot, immediately after being baked (or worse, fried) cooked à la minute as you feverously wipe down the grease splatters from the counter tops and pipe truffled aioli all while your doorbell is buzzing. 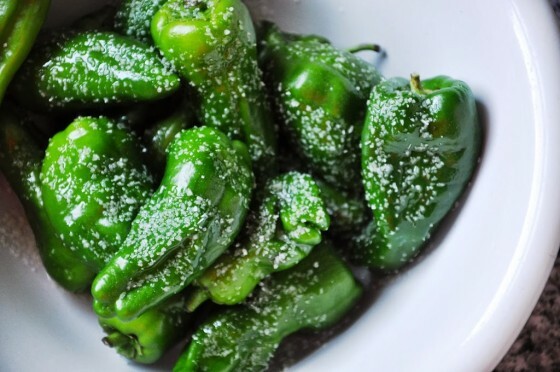 Well my friend, let me introduce to you the salt roasted Padrón pepper—quite possibly the easiest, quickest, most addictive little party snack you’ve ever served up. It sounds far too simple to be as good as it is; fresh, thin-skinned, mild peppers coated in olive oil and plenty of kosher salt, cooked until blistered and tender. No puff pastry, no panko breadcrumbs, no sheet trays to rotate. I might also add that while the Padrón makes a mighty fine partner to an ice cold beer or cocktail, they are perfect on pizza, sandwiches or scrambled eggs. Can’t say that about fussy salmon tartare cornets can you? The Padrón pepper hails from Spain and is an easy find in any Farmer’s market in the Seattle area from July through mid-October. Another option would be shishito peppers, a similar variety cultivated in Japan that can be found at larger Asian or ethnic supermarkets (such as Uwajimaya), although last I checked shishito peppers were $16.99/lb., while the organic Padróns at the University District Farmer’s market were only $6.99lb. Tough choice. 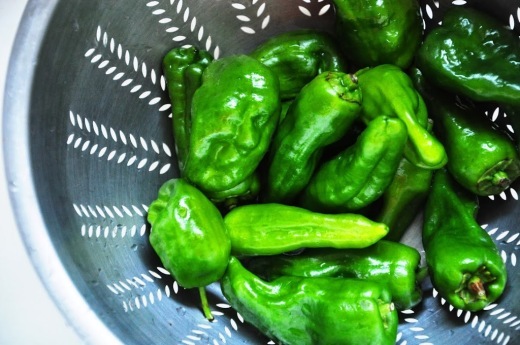 *Note: some Padrón or shishito peppers can be fairly spicy, but most are pretty mild. It’s a fun party game! Dress the peppers. Wash and thoroughly dry the peppers. In a large bowl, toss with a generous amount of olive oil and more salt than you would usually be inclined. Roast the peppers. Heat a grill (or oven/broiler) until very hot. Grill or roast the peppers until the skins are charred in spots but not completely blackened. 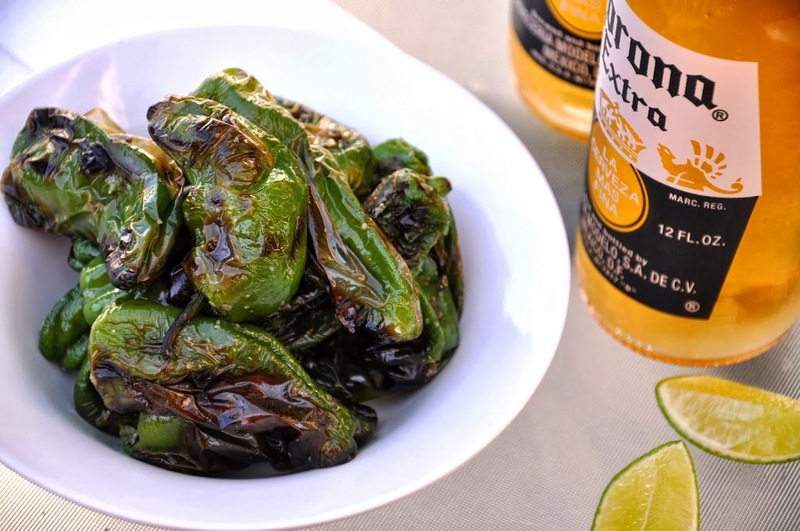 Serve hot or room temperature with ice cold beer.